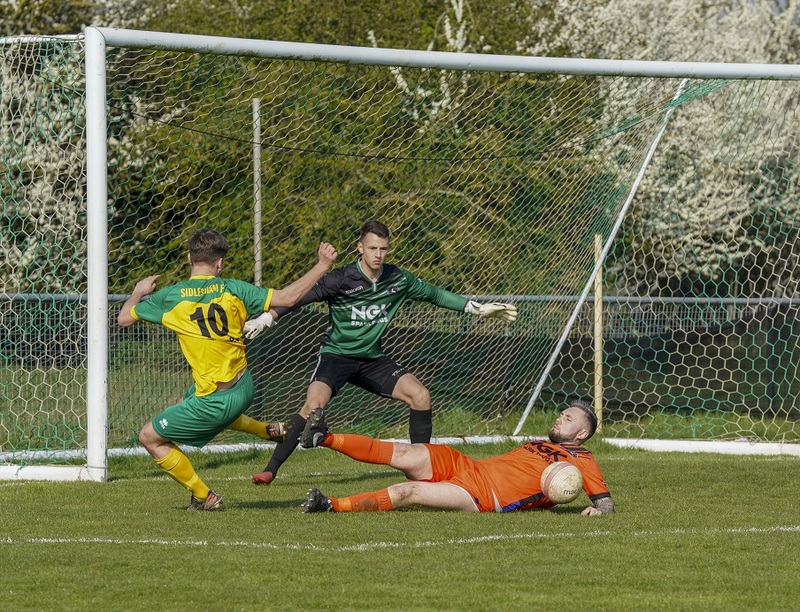 Sidlesham will look to pop league leaders Alfold’s bubble while promoting their own top half credentials. Steve Bailey has had quite the impact at the Recreation Ground and will hope to finish his first season at the club by ending in the top eight of the 17 team SCFL Division One. With just a month of the season to go, the Sids – on their return to step six -are in that very spot with just three matches of the season to play. Sids moved up into the top half after a battling 1-0 win over Midhurst & Easebourne at the weekend, David Rough hitting home in the second half. Those three points ended a run of three matches without a win for the Rec Ground side. It also gives Bailey’s side a one point advantage over Seaford and Wick, who are ninth and tenth respectively but both have a game in hand. That makes the match tomorrow at Alfold all the more important, especially considering the Surrey side are just one point clear at the top of the table. Having last tasted defeat in the league back at the start of October, Sids will need to be at their battling best to keep an attack which has netted nearly three goals a game at bay. Fellow SCFL Division One side Selsey will be looking to keep up the pressure on the top four by claiming three points at struggling Oakwood tomorrow (3pm). Daren Pearce’s side had a well-earned rest last weekend, after stringing together a run of impressive results which has propelled them up to fifth. In that time, Blues have lost just one of their last 13 in the league – and they will had to Crawley as firm favourites to keep that run going. Blues beat Midhurst 3-2 last time out, with Lindon Miller bagging a brace, either side of a Ryan Morey strike. They have already faced Oakwood twice this campaign, beating them 2-0 in the reverse league fixture as well as a 7-0 hammering in the league cup.